Speech-language pathologists spend a lot of time working on vocabulary. Vocabulary has been in the spotlight recently as talk of Common Core State Standards leads to talk about the tiers of vocabulary students use and need to know. 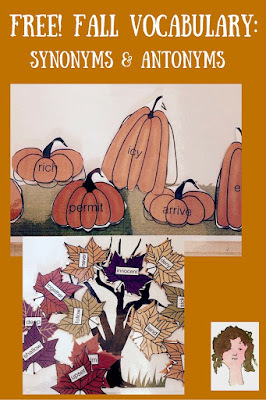 Understanding not only what a word means but how it is related to others words is often the focus of vocabulary intervention in speech therapy. We work on describing and defining words, on being able to name similar words and opposites, and words that sound like it but mean something different, and.... Well, you get the picture. 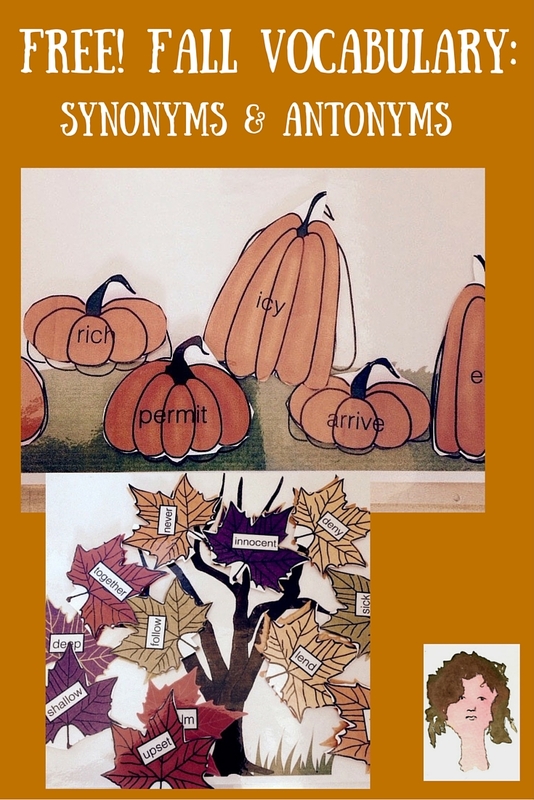 So, for Fall, I've got a free Synonyms and Antonyms resource for you. So have fun with vocabulary this month.